Another chilly start to the day with all layers donned, but fairly soon I was peeling off the sock-gloves and the buff hat. The jacket took a little longer because there was a lot of walking in the shade, but eventually the jacket, then the fleece sleeves and finally the infinity buff were all stowed in the pack. 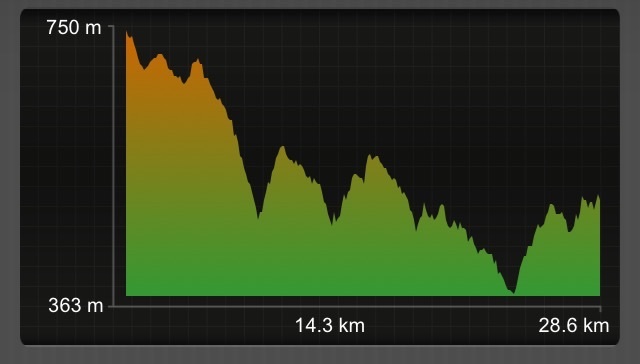 The first few kms were on the road, but it being Sunday there was virtually no traffic. We eventually followed a track through some woods and found our first port of call at 12.5 km. I ordered a bacon bocadillo and Paul had bacon and eggs. All went down well and I set off on the next leg. I crossed a totally empty motorway. In Galicia even the drain covers are adorned with scallop shells! There were quite a few villages that we skimmed. These places are much better maintained than those of a few days ago. Very few ruins now and many tasteful restorations. I guess now we are nearing Santiago the area is more affluent. The sky was blue with a few fluffy clouds and the temperature didn’t rise too high – perfect walking conditions. I don’t like to tempt fate by commenting on how lucky I have been with the weather – but I guess I have just done that, so I shall expect storms over the next few days. We passed through Laxe after around 18.5 km and I called into the Albergue as we passed to top up my water bottle. The building was actually being used as a polling station for the local elections which take place today, but I was allowed into the kitchen to fill my bottle. There have been many posters for the local candidates as we have passed through towns and villages over the last couple of weeks, and I have noticed that there are as many (or more) women standing for election as men. More shady woods, a Roman bridge and quiet country roads completed this stage and we reached the sizeable town of Silleda at around 13:30. We are staying in the private Touristico Albergue that has been advertised everywhere for the last couple of days. A bed for 8€ and a menu del dia for 8€ or 10€ depending on whether you want dessert and coffee. So I have just had a wonderful shower in complete privacy and have done all the ‘things’ us ladies like to do when such conditions prevail – like shaving legs and treating myself to one of the few uses of my lovely clarins face wash (from a tiny sample tube), and just making the most of endless hot water. I have also given all my clothes, towels and rain jacket to the hospitalera for a turn in the washing machine (just leaving my ‘fat’ walking pants and little used shirt to keep me decent). So this place provides the three essential “W’s” all in one place – washing machine, wine and wifi (but not necessarily in that order). I am sad to report that we have ‘lost’ our friends. Aase has sent me a message today saying that she walked on yesterday (40+ kms) and she thought that Wilfried was with us. But we didn’t see him yesterday nor today. Hopefully we will coincide in Santiago – they were great company and I shall really miss conversing with an interesting woman in English. But two lovely things have happened since my last post. 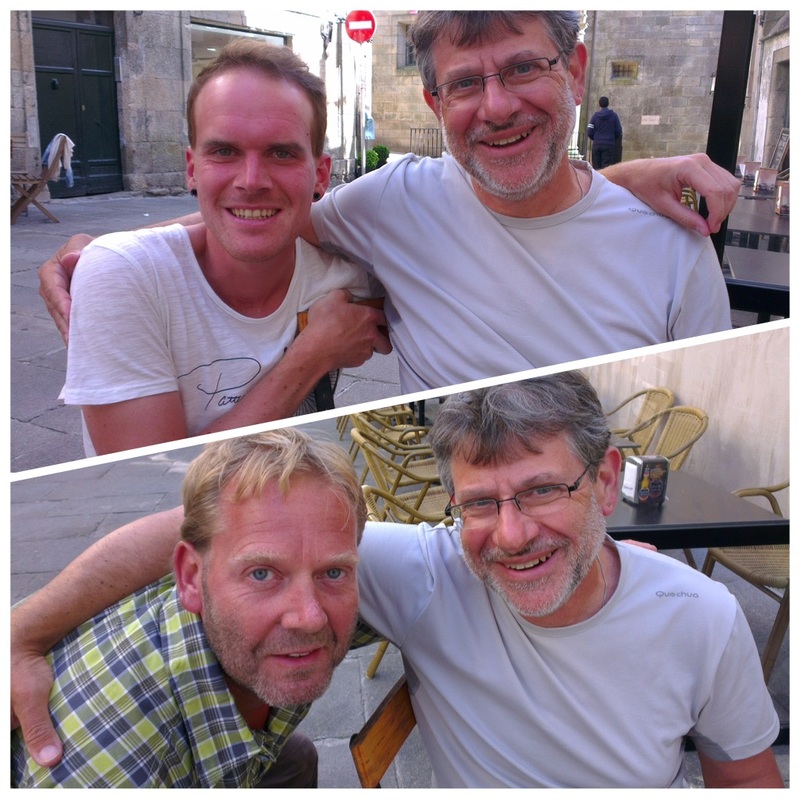 Firstly, yesterday evening I received an email from German Tobi saying that he and Michael had arrived in Santiago and were with Olivier – complete with photos. And secondly, yesterday Paul met a couple of women from New Zealand. He walked with them for a while and discovered (1) that they were the women who had earned me my free glass of wine in Tábera for taking the phone call for the hostel owner and sorting out their booking. And even more of a coincidence (2) the woman called Margaret was walking the Portuguese route last year at the same time I was, and she walked for quite a while with an Australian guy called Brian, who I also met, and who follows my blog. I love these coincidences. And as we walked into Silleda the two women were just ahead of us and we stopped and chatted. 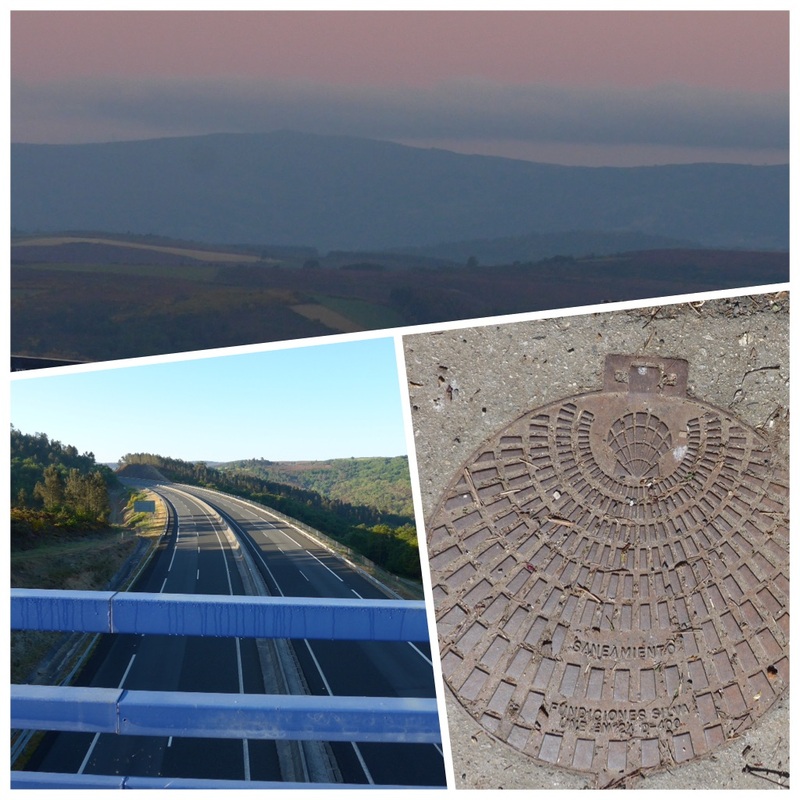 And a huge ‘hola’ to Brian – when are you walking your next camino? Only two more days now into Santiago, and then three to Finisterre. I have my flight booked back to Málaga on 2 June, so after returning from Finisterre I may get the bus up to A Coruña and/or Farrol for a couple of days of R&R. I don’t feel anxious for this camino to finish although I will be very pleased when the time comes to return home. I have been away for such a very long time. This entry was posted in Camino de Santiago de Compostela, Camino Mozarabe, Camino Sanabrés, Via de la Plata and tagged Camino blog, Camino de Santiago blog, Camino de Santiago de compostela, Camino de Santiago., camino Mozarabe, Camino Sanabrés, travel, Via de la Plata. Bookmark the permalink. Ah, what a nice posting! We wish you well on your final few days, you have so many things to look forward to. Buen camino. Just want to congratulate you on your mammoth walk!! I couldn’t have done it. After a few days on the most beautiful parts of the Portugues I am now relaxing in Vigo over a huge G and T! Yesterday I visited the Islas Cies which were something else – a must do on everyone’s bucket list!! This is the last day of my hol before flying back to Oz tomorrow. Your blog has helped my resolve to write mine every day no matter what. Maggi, I have been following you every step of the way since day one. I don’t think there’s a word in the dictionary to describe you – the way you write, your photos, your stamina – just to mention just a few of your many talents. I walked the Frances in 2014 from SJPdP and each evening on arrival at the Alberque, I immediately showered and fell into bed for 2 hours! 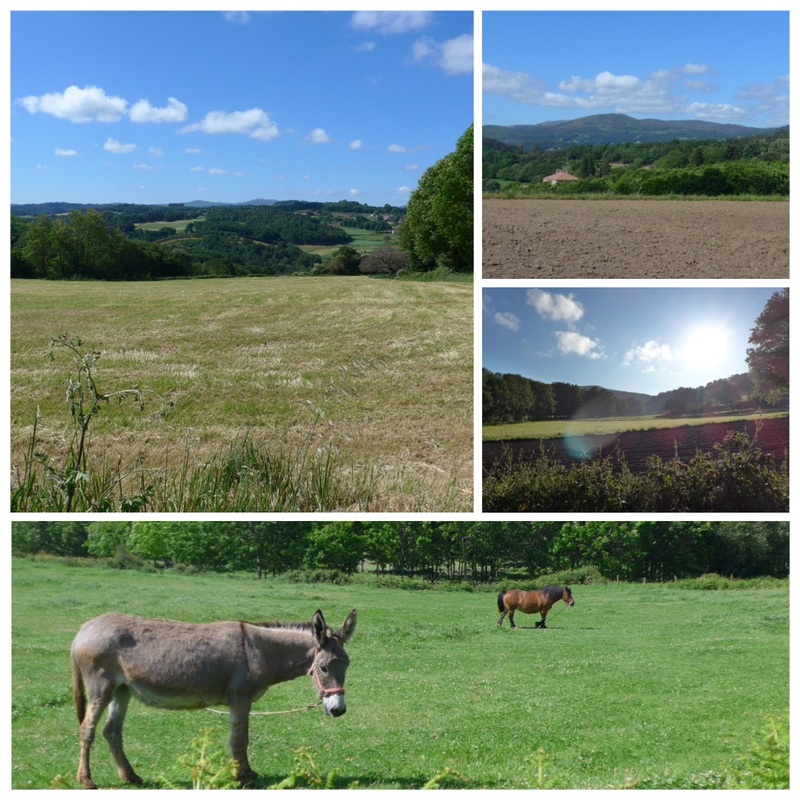 No blogging for me – I was just knackered! I have a million questions but I’ll keep it to just a few. 1, Bearing in mind there a generational issue! – what book/ap did you use as a guide? You make it all sound so easy – get up, get out, get going and arrive at your destination, etc. We were going to walk Via Dla Plata last year but it didn’t happen. I had purchased a lovely guide from the pilgrim office in Seville. 2. At what point do you remember did you join Via Dla Plata? 3. As you live in the south of Spain, the heat may not have been a problem for you – was it very hot some days? 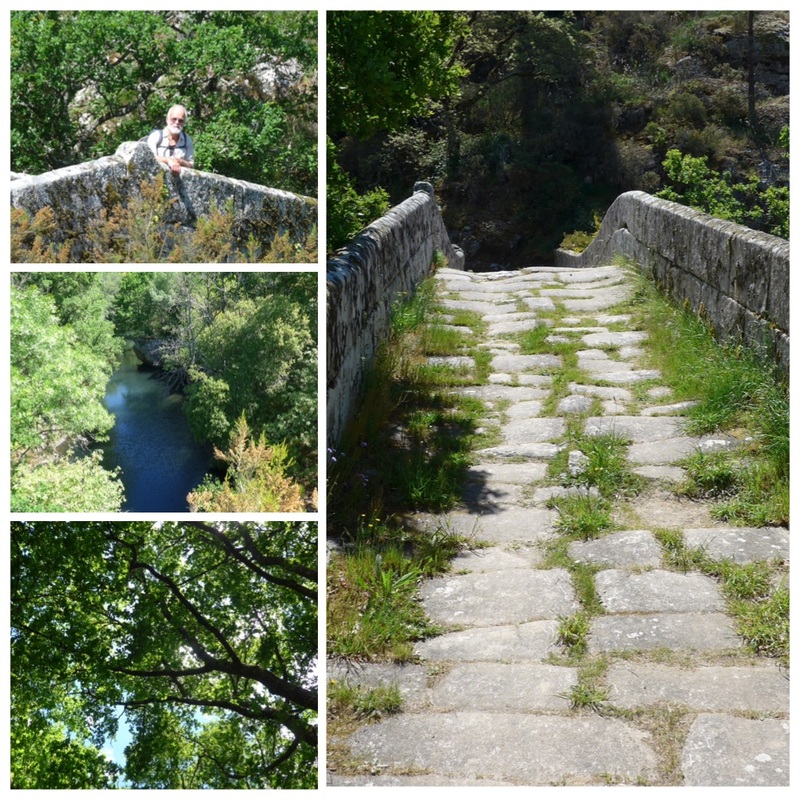 We’re heading off in a about 2 weeks to walk the Portugese camino. I’ll be paying great attention to your blog! My husband uses John Briarley’s guides. I don’t do much navigation – probably just as well! Thank you so much for the all the wonderful summaries of each day. I’m thoroughly enjoying every bit. Will keep in touch. Enjoy! 1) I didn’t use a guide book for this camino, although I believe there is one available from CSJ. 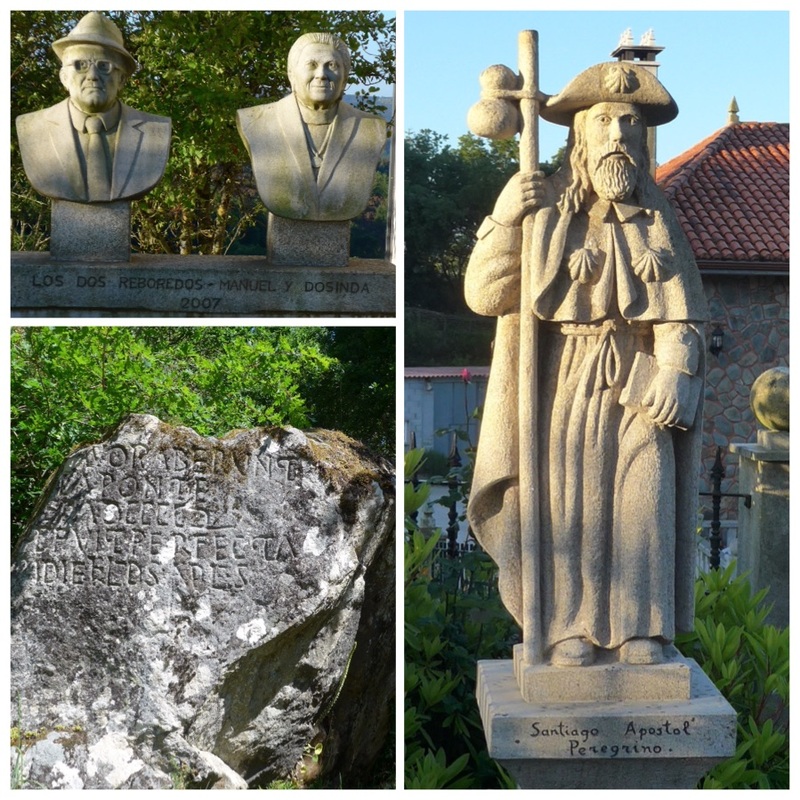 I downloaded a PDF guide provided by the amigos on the Mozarabe which is beautifully produced and quite useful http://www.caminomozarabedesantiago.es/documentos/guia-eng.pdf, and lists stages, etc. I will eventually post a resources list for the Mozárabe section of this camino. I also used an app on my iPad for the VdlP written by Melanie Radzicki McManus which I found very useful once I worked out how to use it. The Tourist office in Santiago will give you their excellent updated guide to Finisterre. 2) The Mozárabe joins the VdlP at Mérida. 3) I have never managed to get used to the heat and hide from it as much as possible. Walking in April/May, it is not too bad, although there were some very hot days. I find a wet scarf draped over my head and shoulders really cools me down quickly. 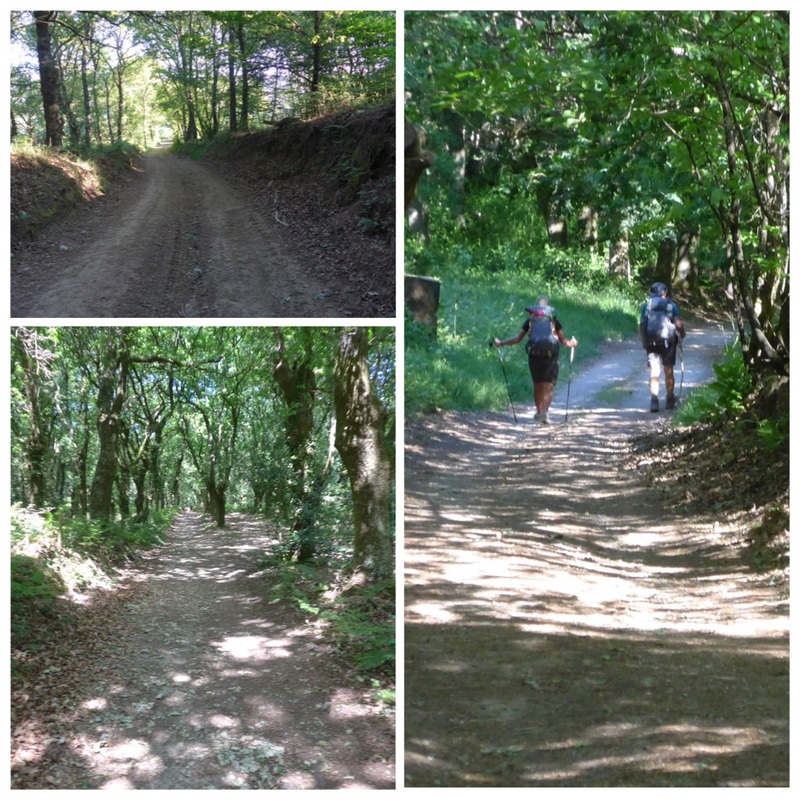 Not much of a fashion statement – but hey, who cares on the camino! Please do keep in touch Margot, I promise to be a better blogger in future.